Dedicated to Vishnu, the temple of Srirangam’s vast complex has seven enclosures formed by huge rampart walls and 21 elaborate towers. Srirangam is the foremost of the eight self-manifested shrines (Swayam Vyakta Kshetras) of Lord Vishnu . It is also considered the first, foremost and the most important of the 108 main Vishnu temples (Divyadesams). This temple is also known as Thiruvaranga Tirupati, Periyakoil, Bhoologa Vaikundam, Bhogamandabam. At a distance of 1 km from Srirangam Railway Station, 9 km from Trichy Railway Junction, 62 km from Thanjavur, 145 km from Madurai & 327 km from Chennai, Srirangam is well known for Sri Ranganathaswamy Temple which is the foremost of the eight self-manifested shrines of Lord Vishnu. 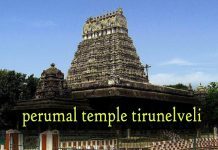 The temple is considered the first among 108 prominent Vishnu temples and also one of the popular from tamil nadu tourist places. Non-Hindus are not allowed to enter the gold topped sanctum sanctorum and their entry is restricted to the second enclosure. 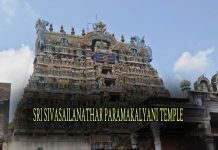 In the Vaishnava parlance the term “KOIL” signifies this temple only. The temple is enormous in size. The temple complex is 156 acres in extent. It has seven prakaras or enclosures. These enclosures are formed by thick and huge rampart walls which run round the sanctum. There are 21 magnificent towers in all prakaras providing a unique sight to any visitor. 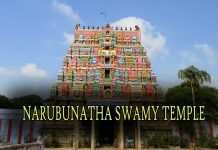 this temple lies on an islet formed by the twin rivers Cauvery and Coleroon. On a side note, the famous Christ Church in Mumbai and Royal Bombay Opera House are the other historic Indian monuments that received the Award of Merit this year, in addition to the temple. The temple was lauded by the international body for undertaking renovation and beautification work worth over Rs 20 crore without harming its centuries-old heritage.